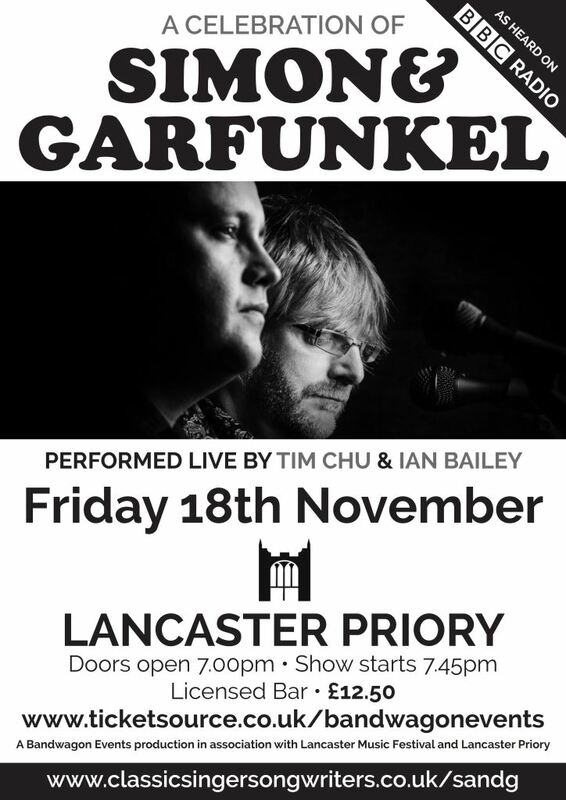 Singer-songwriters Tim Chu and Ian Bailey perform “A Celebration of Simon and Garfunkel” in a fantastic night of top quality performances of top quality songs. Tim Chu has been a professional session musician for many years and his music features in TV, Film and Radio. He has loved the music of Paul Simon from a young age as the original LPs were constantly on his parents&apos; record player. Tim had the vision to put together an ambient show to take to real music lovers around the UK and enrolled the help of Lancashire born Ian Bailey to complete the duo. Ian has been a singer songwriter for many years with 3 critically acclaimed solo albums of his own material to date. Together they blend in their own unique way without falling into the tribute act category. There will be no make-up, wigs or costumes - Just two great musicians performing some of Simon & Garfunkel’s classic songs in an intimate and relaxed way. This is the closest viewers will get to seeing Simon and Garfunkel live. Bar before and after the event and during the interval will serve local real ales, wines and soft drinks.